A new study casts a dark shadow on America’s favorite sport. 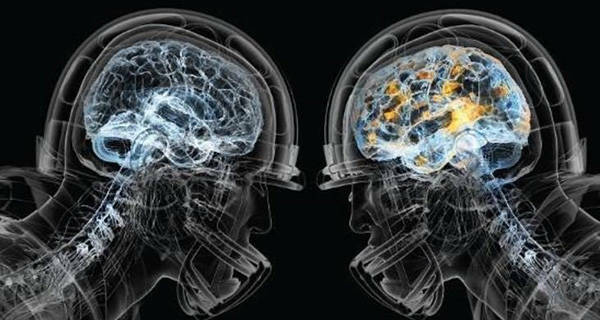 Published Tuesday in the Journal of the American Medical Association, Dr. Ann McKee offers a survey of her findings from her examination of the brains of 202 deceased football players. While the Boston University CTE Research Center, which McKee directs and which has the largest CTE brain bank in the world, notes that the degenerative disease has been known to affect boxers since the beginning of the 20th century, its association with football is more recent — and contentious. As recounted in the 2009 GQ exposé by Jeanne Marie Laskas and 2015 film “Concussion,” researchers had started to link a string of mental illnesses suffered by NFL players to CTE, and requested that the NFL take action to remedy the situation. Reaction on behalf of the NFL looked more like pushback, with NFL doctors sending an initial letter that called Dr. Bennet Omalu’s groundbreaking study (played by Will Smith in the film) “completely fallacious,” and demanded that it be retracted. The football organization has since recognized the link between the condition and the game. It has also taken steps to encourage kids to play less damaging forms of the sport, and has implemented new policies to protect players. But McKee’s study — based on players who died from ages 23 to 89, and who played every position — may make it such that the NFL must do more than that. Still, McKee — who has conducted research on this for over a decade — is quick to note that the study has its flaws. For one, she told the New York Times, her sample isn’t random. “There’s a tremendous selection bias,” McKee said. And that selection bias is a consequence of families seeking answers. Stan Grossfeld/The Boston Globe via Getty ImagesDr. Ann McKee, professor of Neurology and Pathology of Boston University School of Medicine and co-director of the Veterans Affairs Center for the Study of Traumatic Encephalopathy. That skew, McKee and others invested in CTE research say, can only be remedied with more research — and money. But that money can be hard to get, she adds, for political reasons. 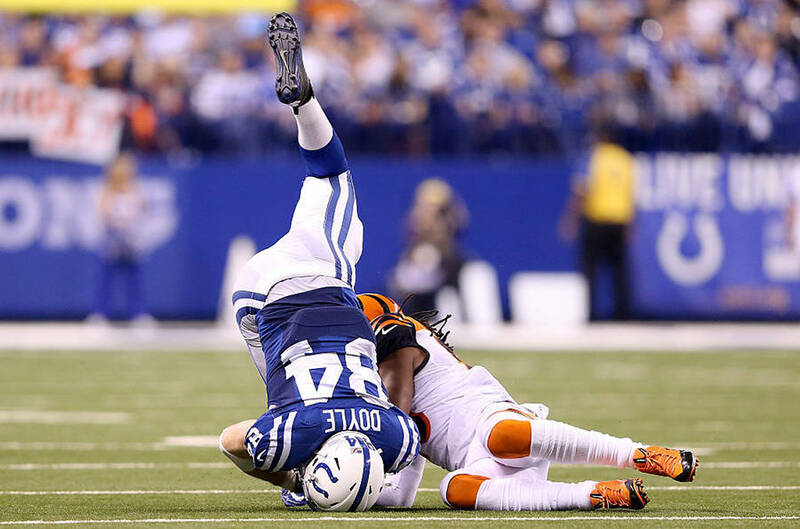 There’s so much discussion of this disease not existing that funding agencies are reluctant to consider this a real neuro-degenerative disease,” McKee said, saying that her team would need up to $100 million to definitively link CTE to football. 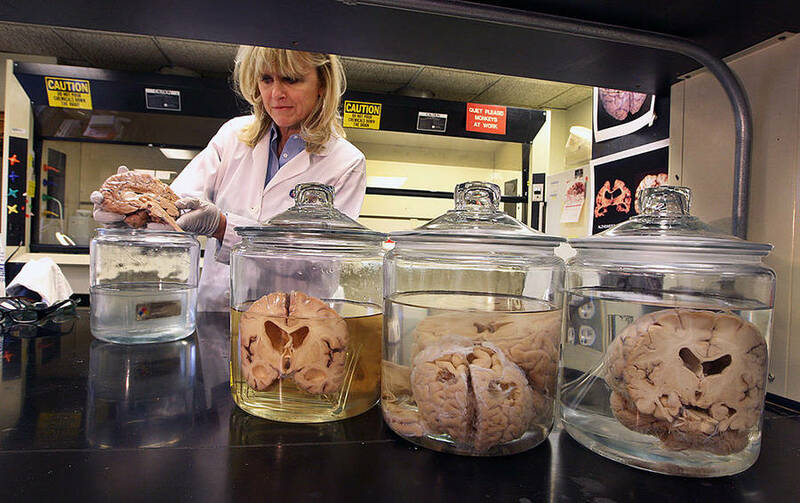 While the NFL has responded positively to McKee’s study, saying in a statement that “the NFL is committed to supporting scientific research into CTE and advancing progress in the prevention and treatment of head injuries” and has “pledged $100 million in support for independent medical research and engineering advancements in neuroscience related topics,” McKee doubts her organization will receive any of that funding — and again, for political reasons. Nevertheless, McKee remains resolute in forging on in her research. “It’s impossible to ignore this anymore,” she said. Next, see how music impacts your brain.